At Jarrods, we’re always incredibly grateful for any customer testimonial that we receive. 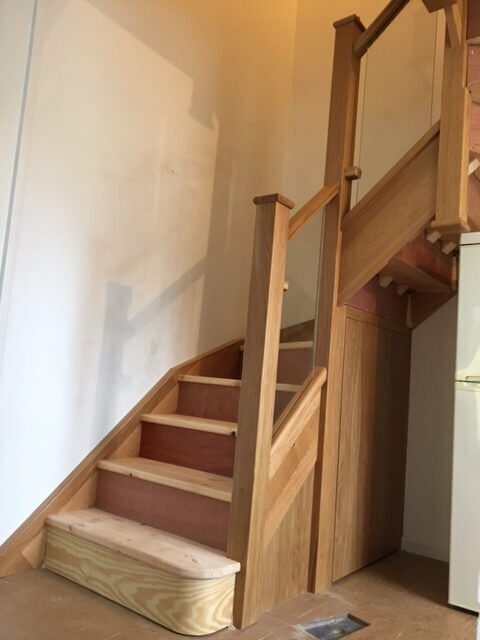 We love hearing how our bespoke staircases have transformed people’s homes. In fact, if you read our blog regularly, you’ll know that we often share our customer stories. However, we were truly blown away by the lovely and in-depth customer testimonial that we recently received from Jason Rogers. So we decided to show you the whole thing. I am incredibly pleased with my new staircase. It’s totally transformed the house and created the illusion of extra space in our home. It almost looks as though the kitchen wall has been pushed back to extend the footprint of the house! Everything I have experienced throughout the process has impressed me greatly. 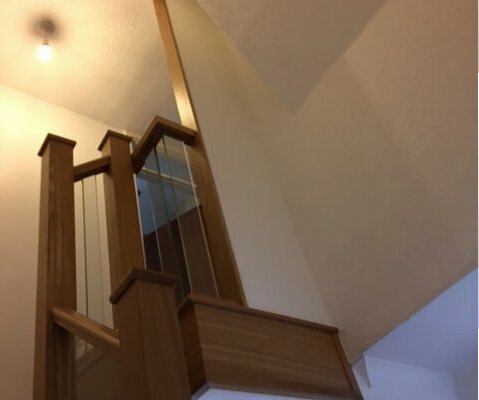 During my first meeting with Sherelle, I was given insightful and carefully considered advice on whether a staircase renovation or a replacement would best suit my needs and budget. It was great to see that this level of care continued right the way throughout the project. It was during my follow-up visit that I first realised what could be achieved in this project. Lewis from Jarrods gave me straightforward and practical guidance with new ideas that were something of a revelation. It was then that I knew I was getting more than just a staircase. I was getting a piece of stunning design which also fulfilled its functional requirement. Jarrods also showed me a portfolio of previous jobs to help me choose a style. I was even impressed by the quote that I received as it outlined different options along with the budget required for each one. The team had taken on board everything I had said and thought of things that hadn’t even crossed by mind. This is what really clinched it for me. The on-site visit from Jarrod was particularly useful as it confirmed the footprint of the stairs and the possibility of opening up part of the landing. This helped to maximise the natural light for a much more open feel. Finally, a visit from Paul confirmed the specifics of what could be achieved in a very understandable way. This was very useful for someone as non-technical as me! I had high expectations for the installation process, but somehow my expectations were exceeded. The installation team turned up precisely on time and didn’t waste a second to get started. 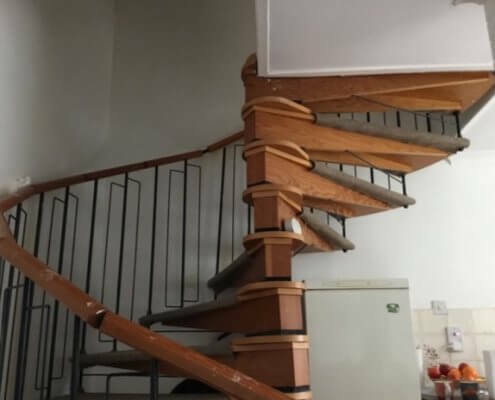 Within just an hour, my old staircase was dismantled and gone. What followed was a master class in carpentry. The installation team consisted of two Jarrods’ employees, Rhys and Kiernan. Their general demeanour was absolutely impeccable and it was obvious that this was more than just another day at work for them. It was a project that they took great pride, time and effort in. When they arrived I briefly mentioned a wall or rather partition at the top of the stairs that I wanted to replace. Rhys listened to what I wanted, and whilst he made no promises about what could be done, he thought carefully about the options available to come up with a solution. What he came up with looks absolutely incredible and has transformed the landing area. It’s a fantastic reflection of the creativity and ingenuity of the Jarrods’ team, even when it means more work for them. I was impressed with the structure of the stairs being in place by the end of the day, even though Rhys claimed that they were further behind than they would like to be! Day two was mostly taken up with producing and fitting the handrails, trim, glass and finishing touches. This further emphasises the painstaking attention to detail that was so prevalent throughout the entire process. The team was even able to include a door with a concealed catch for under-stair storage. Rhys and Kiernan left the house with no trace of any associated mess, even at the end of a long, hard day. To sum up, I couldn’t be more pleased with my staircase. It has certainly added to the value of the house from both a financial and aesthetic perspective. I’ve become something of an unofficial brand ambassador for Jarrods. I now take every opportunity to show others what was achieved in a relatively short space of time and at a reasonable budget! I can’t thank the Jarrods team enough for what they’ve done. For what it’s worth I can confirm that they have the right people in place to provide fantastic customer service and a great product. We’re delighted that Jason loves his new staircase as much as we do. If you have a project that you’d like our help with, get in touch today. With any luck, you’ll also be writing a customer testimonial about us!